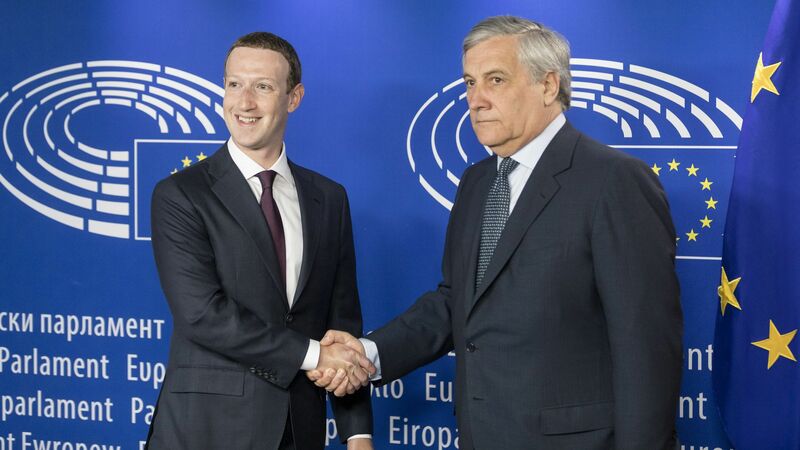 After CEO Mark Zuckerberg faced off against the European Parliament on Tuesday, the media’s immediate takeaway was that Facebook dodged a bullet — after all, the hearing’s format let Zuck avoid answering a lot of tough questions. Our take: That's missing the point. This isn’t a sports match or debate club. The real question is what action policymakers will take. And it’s Europe — not the U.S. — that’s most likely to take steps to rein in Big Tech, having already done so with both Microsoft and Google. To that end: Competitors are taking advantage of the mood in Europe. Yelp filed a fresh complaint on Tuesday with the EU, arguing that Google's local search results also improperly favor its own listings over rivals. The M word: A couple of lawmakers asked Zuckerberg point blank to make the case why Facebook isn't a monopoly that should be broken up. Now, that's not to say that's where things are headed, but that's not the kind of thing you hear much from politicians in the U.S.
"Today's pre-cooked format was inappropriate & ensured #Zuckerberg could avoid our questions. I trust that written answers from Facebook will be forthcoming. If these are not accurately answered in detail, the EU competition authorities must be activated & legislation sharpened." Go deeper: I talked more yesterday about how the hearing went, in an appearance on NPR's "Here & Now." Driving the news: Speaking of Europe, IBM chief Ginni Rometty is in Paris this week where she is announcing a plan to create 1,800 jobs in France in areas like AI, blockchain, cloud computing and IoT. IBM plans to hire both new graduates and experienced workers for a range of positions, including business consultants, IT architects, developers and technical experts. Rometty is making the announcements later today at the Tech for Good Summit, where she is speaking along with French President Emmanuel Macron. Rometty is expected to make a new commitment on data privacy as well as castigate tech companies that can't protect their customers' data and/or won't commit to not using it without permission. That will come Thursday (a day before GDPR protections kick in) as she speaks at VivaTech. Finally, IBM is teaming up with some new partners on efforts to promote the social good. Meanwhile, back stateside, Amazon was in the spotlight over its facial recognition software, Rekognition. What's happening: The ACLU found the software is being used by various law enforcement agencies. A coalition of civil liberties groups is calling on Amazon to stop selling the Rekognition technology to government entities. Why it matters: This hits on two hot button issues: facial recognition technology and the broader question of just what types of technology Big Tech companies should sell to the government. "Google held back from offering facial recognition for years because it 'crossed the creepy line.' Meanwhile, Amazon has started selling it for $12/month." "I find it troubling that Amazon is providing police departments with surveillance technology that could be easily abused without any public oversight. Technology should be used to improve the lives of ordinary people, not create an unaccountable surveillance state." A group has infiltrated the inboxes of 78 email accounts held by Nigerian scammers aiming to see how they operate. "We’re using social engineering on them the way they have used it on other people," Markus Jakobsson of email protection group Agari told Axios' Joe Uchill. Acer is holding a global press conference in New York. Okta's Oktane continues in Las Vegas. Zulily has hired former Amazon clothing executive and Shopbop CEO Jeff Yurcisin as president. Tesla has hired Snap VP of monetization engineering Stuart Bowers as a VP of engineering, Cheddar reported. Credit Karma has hired Colleen McCreary as its first chief people officer; she previously held the same role at Vevo. Americans are prioritizing cellphone payments over car payments, per Bloomberg. After all, you can use your phone to call an Uber, right? The FBI is again accused of overstating the problem of encrypted phones. Epic Games has signed a deal for merchandise based on its popular game Fortnite, the Hollywood Reporter writes. Electronic Arts is buying GameFly's cloud streaming technology, VentureBeat reports. In the not-so-distant future, most of us may be driving electric SUVs, according to a Bloomberg New Energy Finance report. To anyone who says ping pong isn't a sport, I offer this as rebuttal.